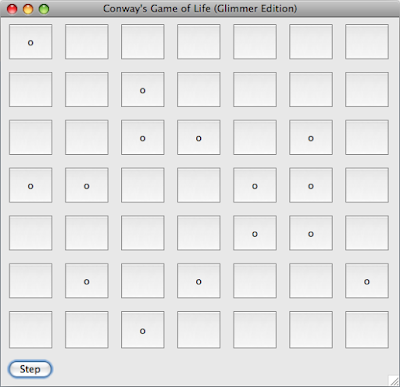 The game logic is in grid.rb and cell.rb whereas the UI code is in game_of_life.rb. cell_presenter.rb provides the presenter needed for data-binding with the MVP pattern. 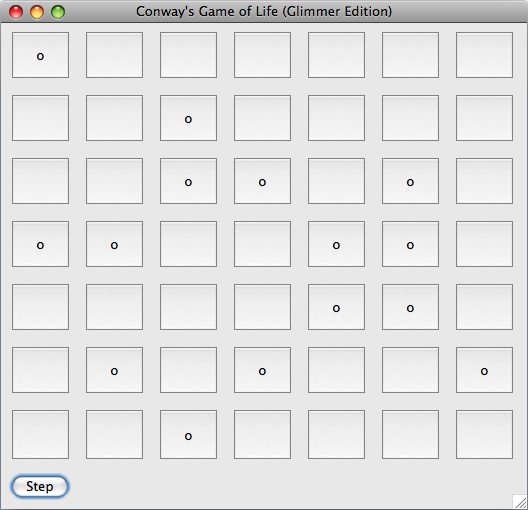 text "Conway's Game of Life (Glimmer Edition)"
One thing that is noteworthy is that Glimmer's support for data-binding greatly facilitated the decoupling of the UI from the domain logic enabling us to write our domain code in full isolation of the UI, and later adding the UI and its related presentation logic via the Glimmer UI DSL and the presenter. Hit me up with comments or an email if you have any questions.